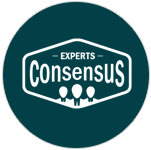 4 of 5 Experts (80%) with a pick against the spread are aligned. 10* play on the Boston Celtics (Spread). The surprising Denver Nuggets are 46-22, leaving them just one game back of Golden St for the West's best record. Meanwhile, the disappointing Boston Celtics sit 43-27, leaving them one back of the 4th-seed Pacers and two games back of the third-seeded 76ers in the East. The two teams meet for the second time this season, as the NBA season enters its final weeks. The first meeting came way back on Nov 5, with Nuggets earning a 115-107 win at Pepsi Center, as Jamal Murray scored 48 points. Murray jacked up a last-second three-pointer to try to reach 50 in that contest and Boston guard Kyrie Irving wasn't happy, throwing the basketball into the stands after the buzzer and drawing a fine. Now seriously, does anyone think that's a motivating factor? A motivating factor is the two teams' current standings and as noted, both are in important 'battles' for playoff position. The Nuggets are led by center Jokic, who leads Denver in scoring (20.3), rebounding (10.7) and assist (7.6). Denver has fought through countless injuries this season (to many key players) but almost ll are healthy now and behind Jokic, Denver has NINE players averaging between 8.0 and 18.3 PPG (includes Thomas and his 8.6 PPG in nine games). An issue here will be Denver's lack of success on the road vs the league's best teams (more in a second). PG Irving (23.7 & 7.1 APG) doesn't seem content in Boston (understatement?) but his production can't be questioned. He sat out a Mar 6 game at Sacramento but has played all four since, topping 30 points in THREE of them. Boston can almost match Denver's depth and it's hard to ignore the team's excellent 26-10 home mark, with the Celtics averaging 115.1 PPG. Now back to Denver's road woes vs quality opposition. Since winning at Toronto back on Dec 3, the Nuggets have lost at San Antonio (111-103), at Houston (125-113), at Utah (114-108), at Philly (117-110), at San Antonio again (104-103) and at Golden St (112-105). Why NOT expect another Denver loss here at TD Garden? - Revenge. Both teams are playing well right now. However, Boston plays with revenge here after falling 115-107 in Denver back on November 5th. Home floor and the added incentive of revenge tips the scales in favor of the home side here. - The Nuggets are just 6-9 ATS as a road underdog this year. - Denver is only 4-7 ATS in its last 11 after two or more consecutive home victories. - Boston is already 10-3 ATS this season as a home favorite of six points or less. The verdict: Revenge is a dish best served cold. Lay the points with confidence! Dan Kaiser: THE PROFESSOR’S THREE-GAME NBA BLOWOUT REPORT! This is a revenge game for Boston and while it was a while back, that is one the Celtics have not forgotten about. Jamal Murray scored 48 points in the Nuggets' 115-107 in Denver on Nov. 5 and jacked up a last-second three-pointer to try to reach 50. Boston guard Kyrie Irving was not happy and threw the basketball into the stands after the buzzer, drawing a fine. Denver hits the road following three straight wins, all at home where they are 30-6, but come in just 16-16 on the road. Denver is 9-21 ATS in its last 30 road games off a home win. After a slump that was questioned by many, Boston has won five of its last six games to move a game behind Indiana for fourth place in the Eastern Conference. The Celtics are 26-10 at home and going back, they are 27-13 ATS in their last 40 games revenging a same season loss.